I received a card from someone that asked me what my day to day life is like here in Brazil. Well I thought I would talk about it. As usual i wake up at 6:30 and get ready for the day. Usually we read and study the bible and the Book of Mormon from 8-10 but you already new that. Whats different here in Brazil is the walking. Right now i think we walk about 7-8 miles per day. I had one day I was working with another elder and he got lost in his own area, we walked for about 13-14 miles that day... needless to say I wasn't very happy. But we walk a lot. We decided where we are going to work in the city depending on where we have our lunch appointment. Usually we eat lunch with some members of the church. As I've said lunch here is the biggest meal of the day. After that we head out into the city to try to change lives. I will admit the Brazilian people are way more open to listen to us than American culture but here are still a lot of people that don't want to listen to us. Thats probably the most anoying thing, we come on missions and give up 2 years of our lives to help people change their lives for the better and they dont recognize it. But I don't feel to bad about it because when you find someone to listen, all the rejections fall away. We had some miracles this week, we have two couples come to church, they love the services and they will come next week. They are named Nelson and Patricia, and the other couple is Anderson and Carina. I hope to help them progress. I read this scripture today and i thought i would share it with you its from the Book of Mormon. Well, i had a wonderful Sunday yesterday. I was able to talk to my mother on Skype. It was wonderful, as we missionaries can call home 2 times a year to our families. Normally the happen during Christmas and Mothers Day. It was interesting to realize that this is the last time I will be speaking with my family via Skype. The next time will be in person around Christmas time. But thats a long way to go and many things to do. 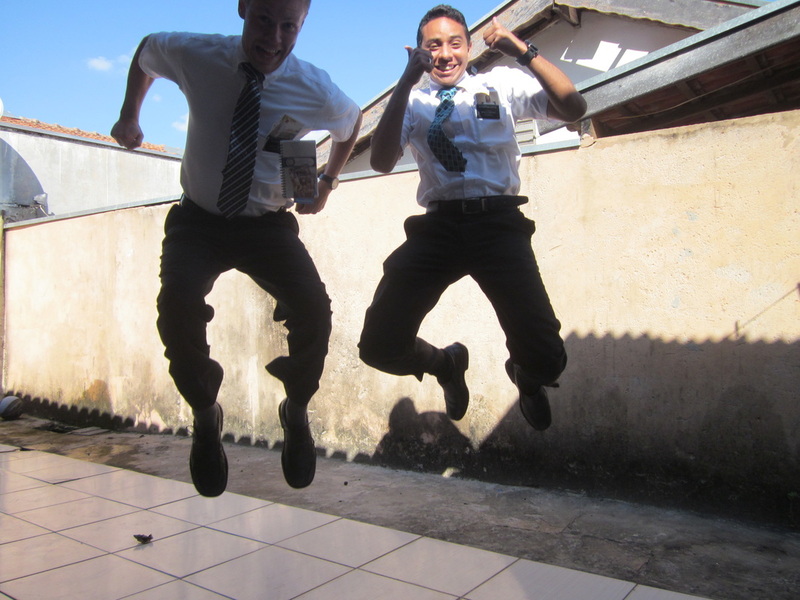 This week in the mission field Elder Silva and I contacted a reference from a member in our ward. His name is Bruno. 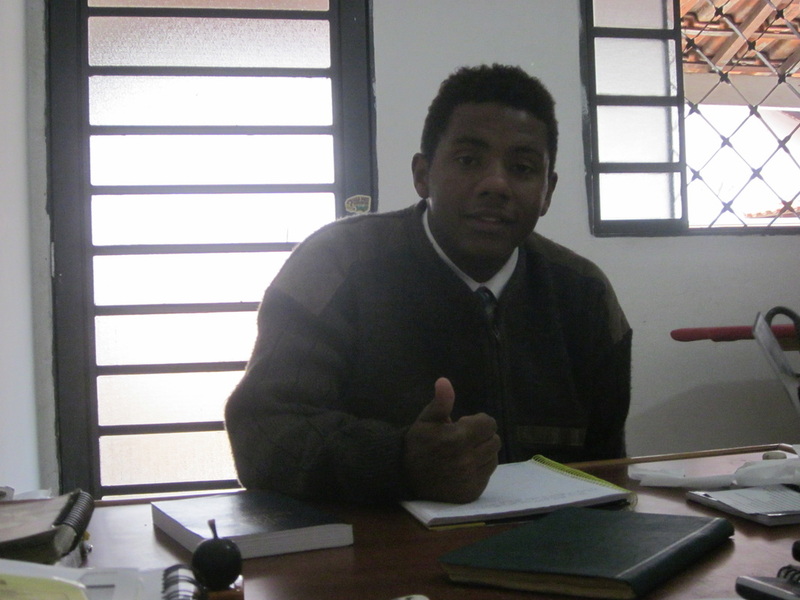 Bruno is 20 years old, we met him and taught him about the restoration of the gospel of Jeus Christ. We taught him about prophets, how they were important in the Bilbe times as well as in our time, and that we continue to have prophets to guide us today. He understood everything and agreed to baptism. I will keep you updated. This week aside from Bruno was a regular work week. But I would like to remember still the importance of Mothers and mothers day. I would like to share this video with everyone i know and email. It is dedicated to all the moms, to be moms, future moms, moms on my mission, and more importantly my own beautiful mother. I hope you enjoy. This will be short and there wont be any pictures so sorry in advance. We found out about transfers this weekend and i will continue to work here in Santa Barbara. It will be 6 months that i will be working here at the end of the transfer. 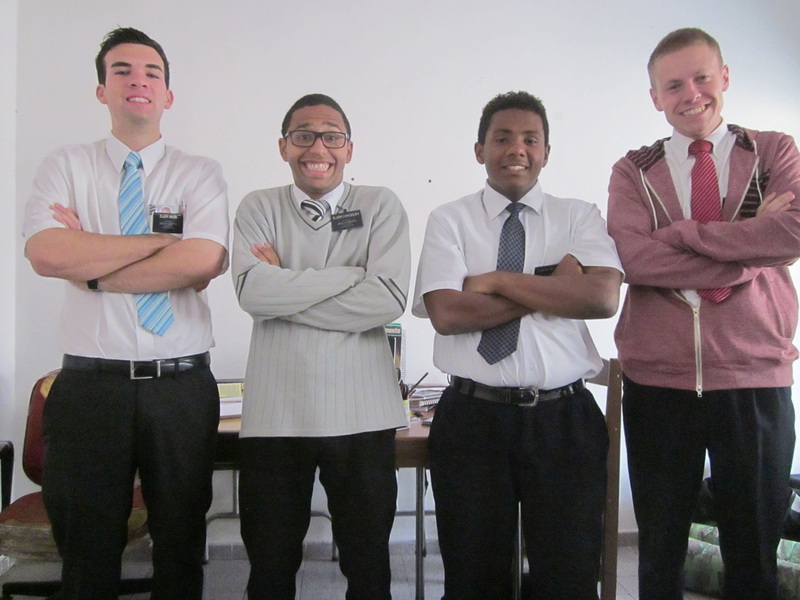 Elder Guilherme finished his mission and returned home about 3 days ago. I have been staying with other elders for a time. I received my new companions name, his name is Elder Da Silva, he is an older missionary as well, he only has 2 transfers left. He will be arriving here tomorrow. I'm excited to get to know him. I am excited to Skype and talk with the family this Sunday. I also have some news that I am excited to share with them and then, I will share with everyone else. That's about it down here in Brasil. 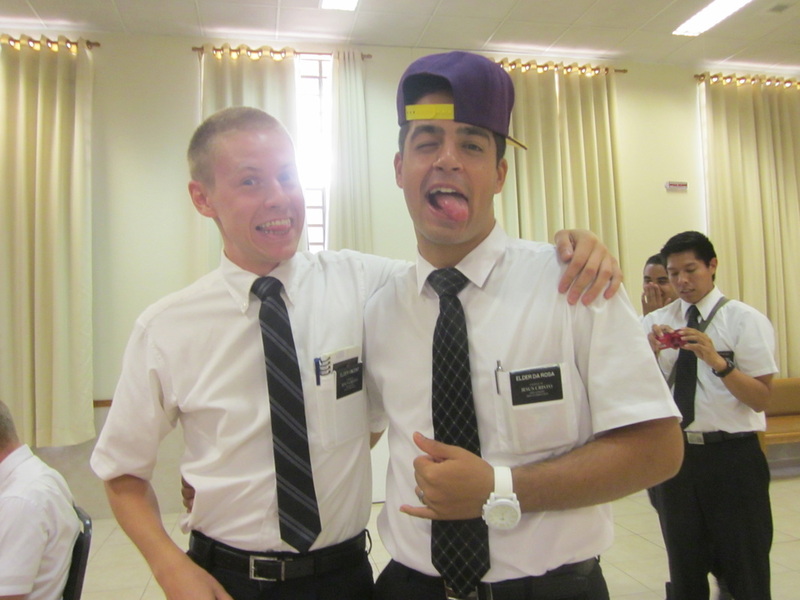 Yesterday was one of the most enjoyable days of my mission. 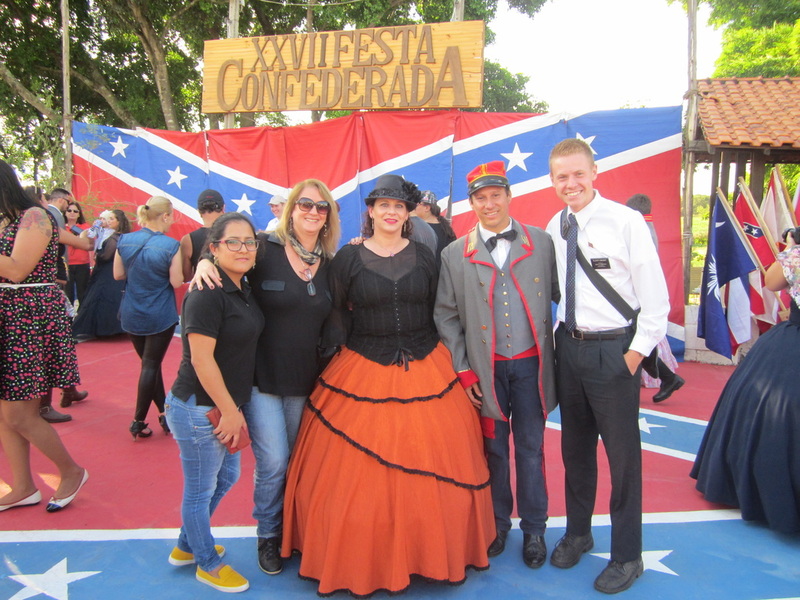 I had the honor to go to the "Festa dos Americanos" here in Santa Barbara. I will explain what it was and how it went. Santa Barbara was founded first by American Confederates who immigrated here after the Civil War. They were a group of families that no longer wanted to live under the oppression of the federal government. So, they heard of a land called Brazil and packed up all their equipment and left for a new country to start a new life. They arrived here and started plantations and a community of American Southern culture. Through time the Brazilian language and lifestyle took over but their descendants are still here and they celebrate their heritage every year. I had the luck to be invited by a descendant of one of the descendants to go to the fest. It was a marvelous experience, we drove to a little cemetery where they families are and their ancestors and enjoyed the american food and culture, there were dances and music, all were from the time of civil war. 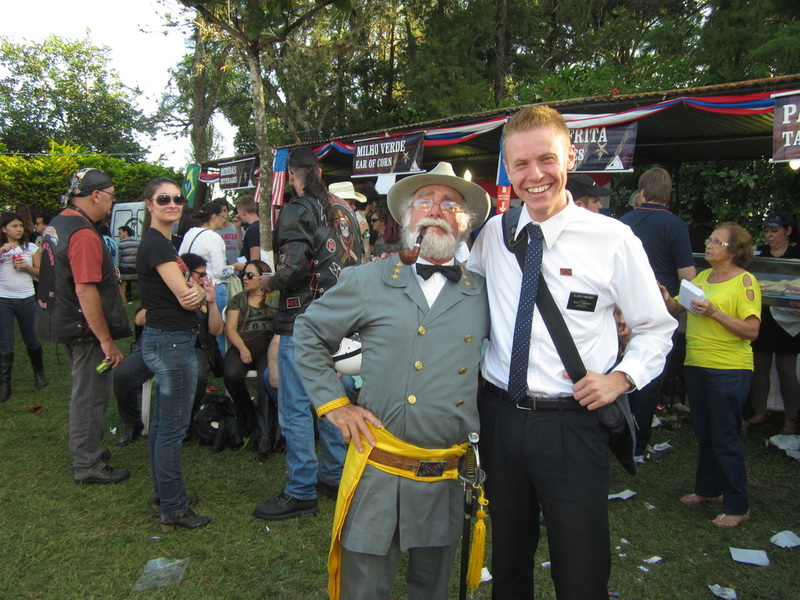 People dressed up in civil war attire, it was a wonderful experience. I even got to meet General Lee! 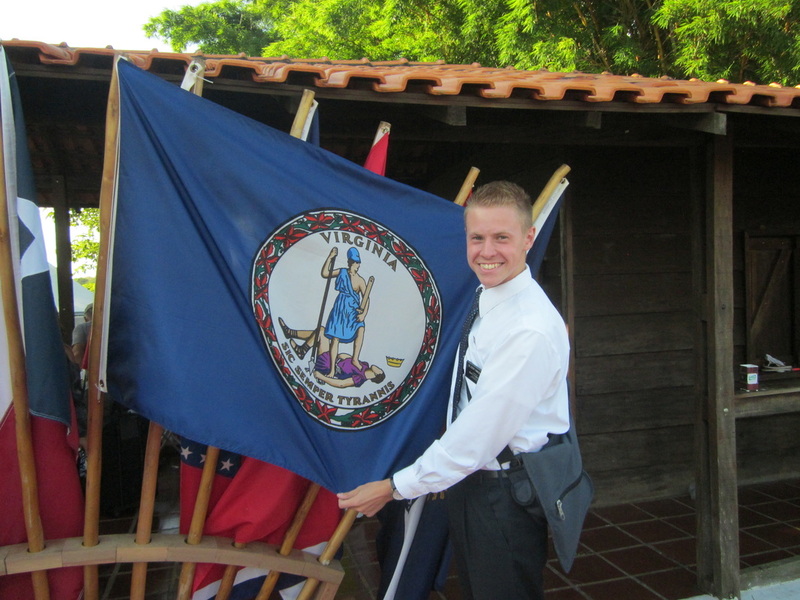 I am so grateful for my mission and the journey its led me, I first was assigned to Virginia to a great ward and family. All of which had Southern Pride. 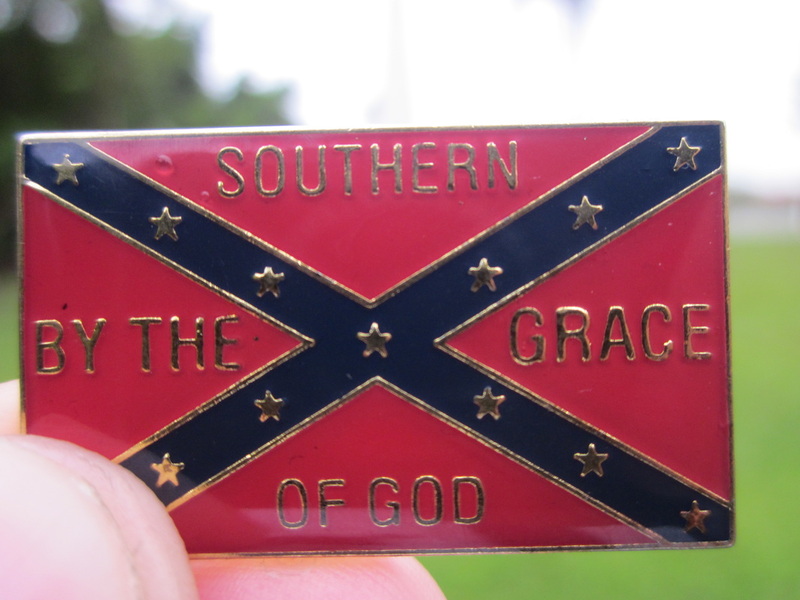 I even received a little pin that said "southern by the grace of God" I received this pin in Virginia and wore it to the festival. What a wonderful surprise God put my life, I got to serve in the "south" 2 times in two continents! P.S I would also like to commemorate that today exactly a year ago on this day was the baptism of Jim and Gabriel Jones. They were baptized in Botetourt Virginia and changed my life. I am so glad and blessed to be a missionary in the U.S and Brazil. So this will be another short one, my bad!! We had a loss of time this week and the internet is going crazy so I have only one opportunity to write this email. This week was great, Elder Guilherme and I are continuing to work in our area, although we don't have much time to see who we would like to. We are always doing interviews and it hinders us sometimes in our work, but we get to work and that's a blessing. This week we had a great conference that was given by our mission President. It was wonderful and the spirit and excitement was felt as he spoke. 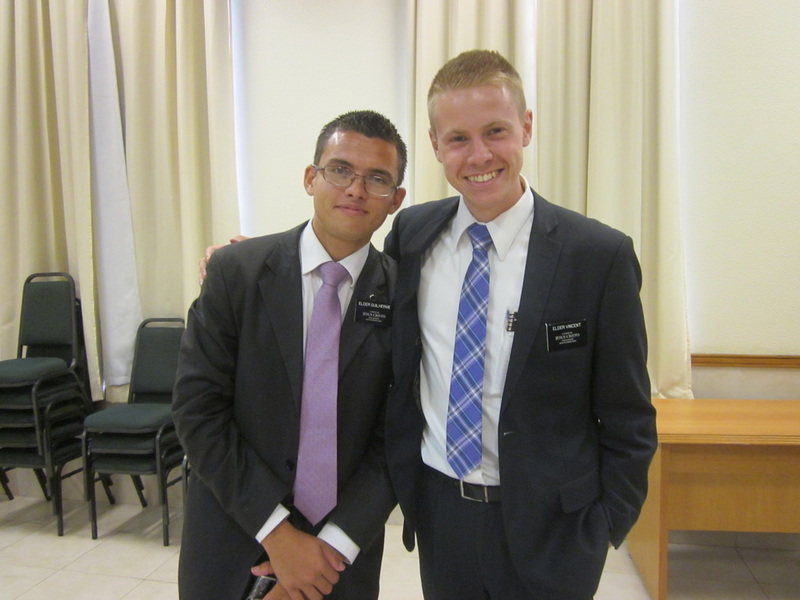 He spoke about studying the scriptures and sharing what we learn with our companions. I also liked when he talked about Elder Hollands talk "The greatest Commandment" and that when we say we "love" the savior, we need to be "loyal" to the Savior, not just on Wednesdays or on Sundays. I wish I could describe the spirit but it was a great meeting. Aside from that it continues to get "colder" here, cold now is like the 60 and 70 degree area. its heaven for me. Also mothers day will be coming up and I will have the chance to talk to the family again in about 2 or 3 weeks. That's about it from our neck of the woods. Hope all is well back home. 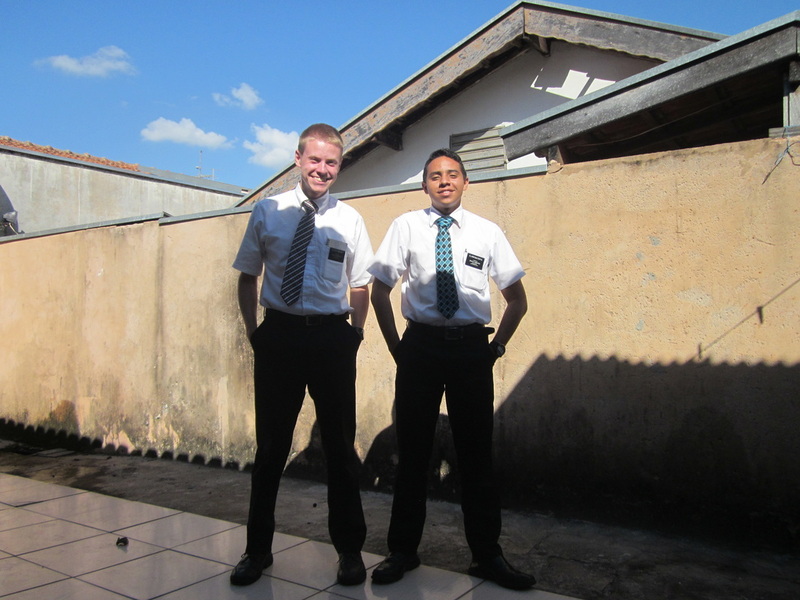 Photos: there is a photo of me and another elder name Elder Da Rosa, I have been serving with him in the same Zone for a long time and he is one of my best friends here in Brazil. 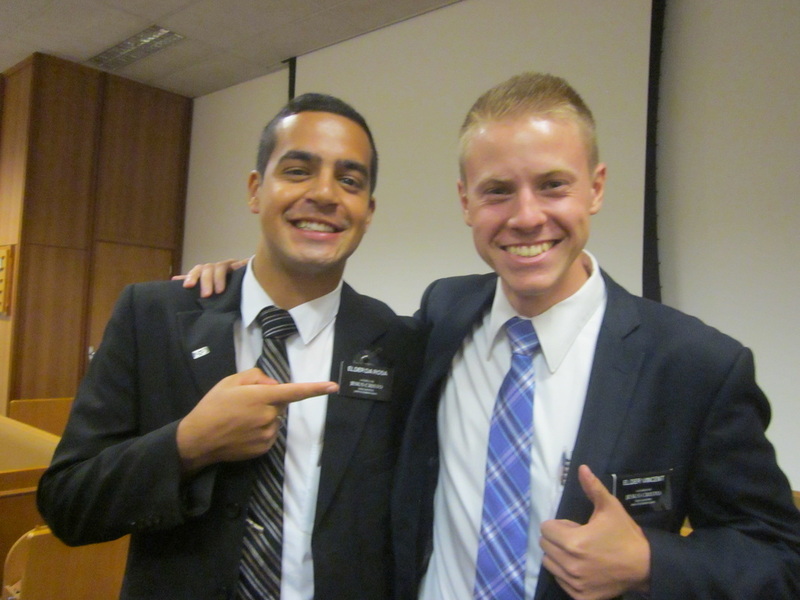 The second photo is of me and Elder Guilherme its hard to believe that he will be going home in 10 days. He has completed his mission. An eternal family or alcohol? Well another week has passed in the wonderful city of Santa Barbara Brazil. I will start off by telling a little miracle that happened this week. We had the baptism of a man named Fabio. He is a husband of a member named Regiane. Fabio had been listening to the missionaries for a long time, he already knew the lessons and everything, but he refused to get baptized because he would say "I like my beer". This was always his response, but recently another set of missionaries visited him and they talked about eternal families, the elder (Named Elder Sorria from Uruguay) said to him "Do you believe that families can be eternal?" Fabio responded "yes". 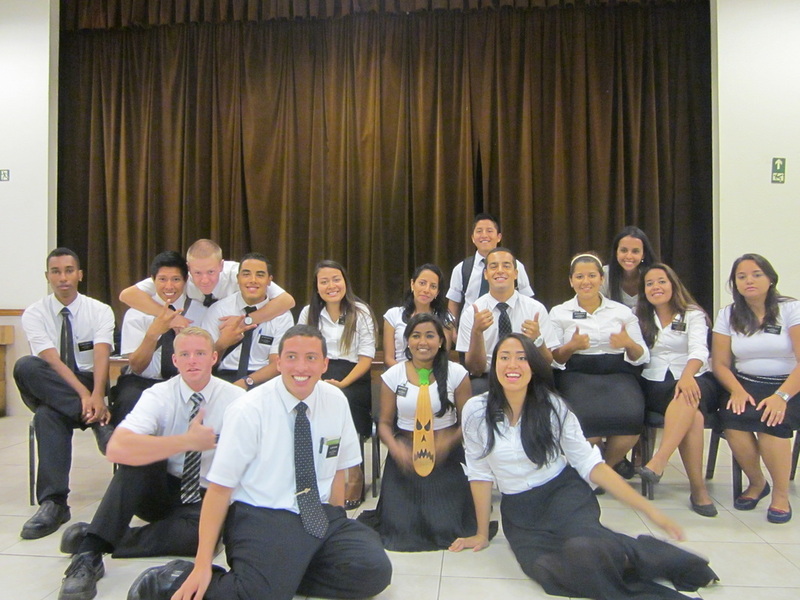 Then Elder Sorria said well you have to choose right now "An eternal family or alcohol? Which is more important for you?..." It was a bold statement but it was a true statement, that night Fabio became frustrated and kicked the missionaries out. But then that night he couldn't sleep, or the next night or the next night, finally at 11 pm at night he called us up because the missionaries moved and said "I would like to be baptized, I want an eternal family". His baptism was this Saturday and was one of the more special ones I have attended, both he and his wife were crying. This was a short story but I would like to bear my testimony that families are eternal. They are not just for this life or "till death do you part", but they are for forever, the power to be together lies in going to the temple and being married "for time and all eternity". Its amazing how many people i meet simply don't know that they can be with their loved ones again. I'm grateful to testify of this truth and bring the happiness to others. 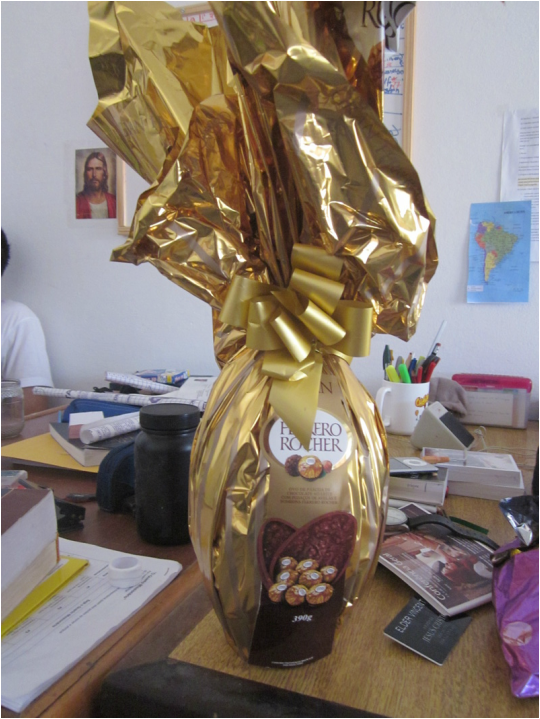 Easter in Brazil, General Conference, and once again...chocolate! 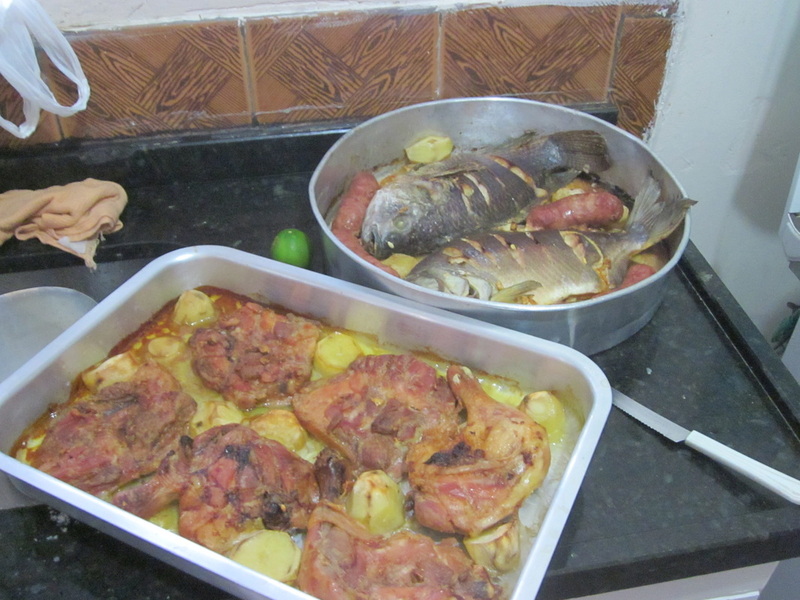 Well Easter in Brazil has once again proven to be wonderful. This week mission work wise was relatively slow due to transfers, meetings, and conference. Next week I will have more about our investigators. But Easter in Brazil is different. The main difference would be "Good Friday". Good Friday here is more of a holiday than the actual Easter Sunday. My companion and I were walking to lunch Friday and decided to pass the downtown area to buy something, when we walked into the towns square, I was shocked... there was no one, absolutely no one, every store was closed, even the homeless guys who beg around the church were gone. I asked my companion what happened and he then told me it was "Good Friday " and it is highly celebrated here. Easter I ate a wonderful meal of fish, rice, and beans. I personally am being converted to eating rice and beans everyday. I will send a picture of our meal. But Easter was a great time to listen to the prophets and apostles speak in conference. I especially liked Elder Bednar's talk/discourse on how to dear with fear. I also like the quote that was spoken that said " Average is the enemy of excellence" for me it explained "DON'T GET LAZY ERIC!" I invite all to hear a bit of conference. 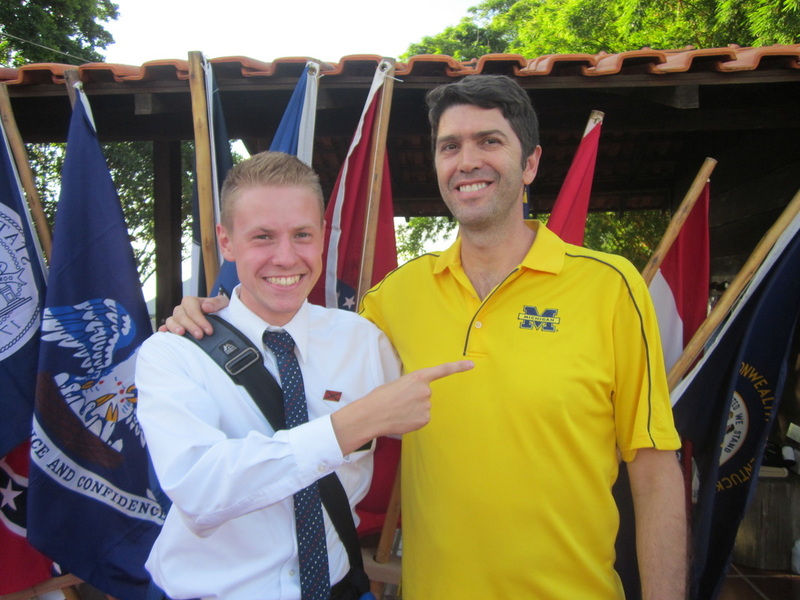 I was able to listen to it in English, it was a great feeling to hear 8 hours of just English, me and another missionary from Colorado were in heaven for a little big just talking and sharing experiences about family and the states, it was good. But I will finish talking about chocolate once again. In Easter in the United States we all get Easter eggs and chocolate bunnies. 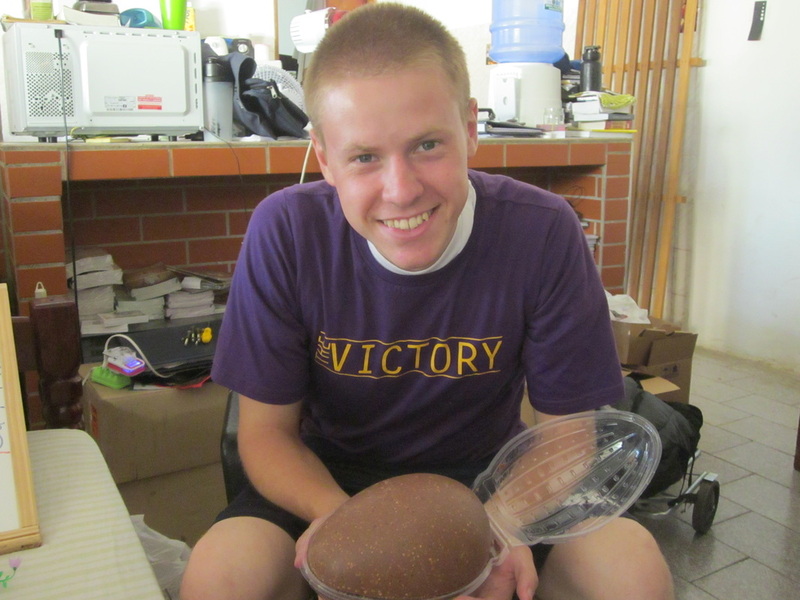 In Brazil, everyone gets GIANT chocolate eggs. They are very big, very delicious, and very expensive. But a member gave us both an egg for Easter. I will include a picture. I hope everyone has a good week and that you still remember Easter, even after Easter. i will ad once more that the chocolate egg is hollow and has little chocolate treats inside. once again, it is hollow. oh and here is a picture of the wonderful fish dinner we had. it was wonderful. So this week was full of work, literal work. Our city is divided into two parts east and west. Elder Guilherme and I live on the west side of the city and this week the east elders moved into our tiny house with us. Suffice it to say I never really have been one who likes living with a lot of elders, but we are getting along. Their contract was up on the house and so they moved in. We are trying to find them a house. But aside from that news life continues to be quite and happy here in Santa Barbara we are working and finding new people, unfortunately we don't find out who stays until tonight. I believe I will stay. Our mission reached a mile stone this month as well. It was our goal to have 100 baptisms. The mission never had reached this level of work before, but this month we reached it. It was great because our zone worked really hard. It was a great transfer, i will send photos of the last transfer meeting we had here. I hope all is well and that another month has passed. I'm excited for Easter and general conference coming up. Speaking of general conference here is a video that was put out by the church as well.